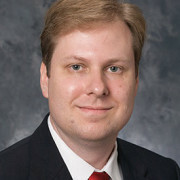 Dr. Thompson possesses an extensive background in information technology and research methodology and leverages these skills to conduct marketing research that involves the programmatic collection and analysis of large-scale, multi-year datasets of customer behavior within online environments. His research focuses on managerially impactful issues including how brand communities influence new production adoption, online consumer-to-consumer helping, the influence of word-of-mouth on the evaluation of promotions, and how to manage brand relationships in social media environments. His research has been published in leading marketing journals including the Journal of Marketing, Journal of the Academy of Marketing Science, Marketing Letters, and the Journal of Interactive Marketing. Dr. Thompson also specializes in teaching practical marketing research methods at the undergraduate level as well as doctoral seminars on consumer-generated content and social media marketing. He received his Ph.D. in Marketing from Arizona State University.